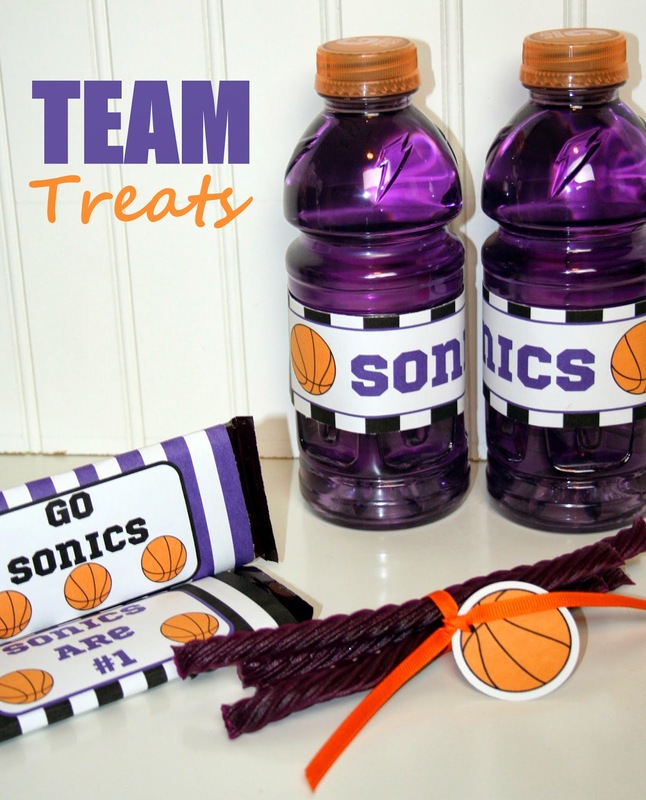 If you have children that play sports, you've probably had a team snack assignment sneak up on you! 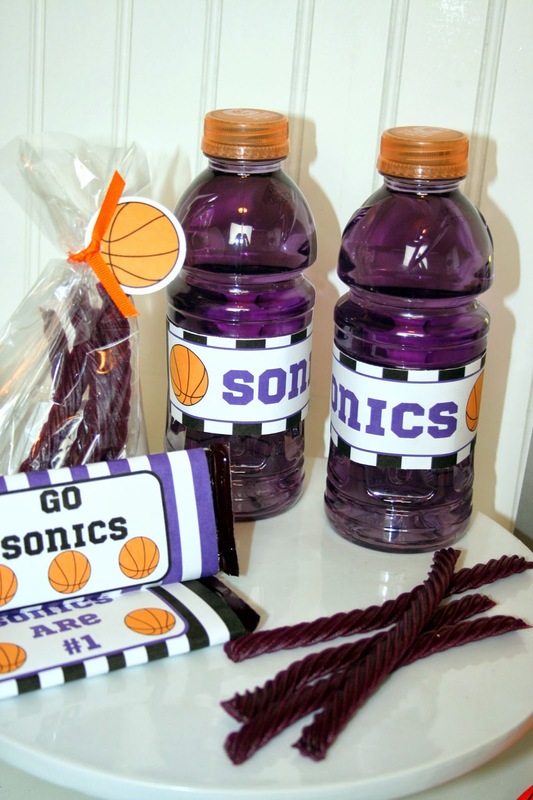 On Monday, my husband texted me from work to see if I could throw together a *special* end-of-season treat for the basketball team he coaches. Insert panic mode! 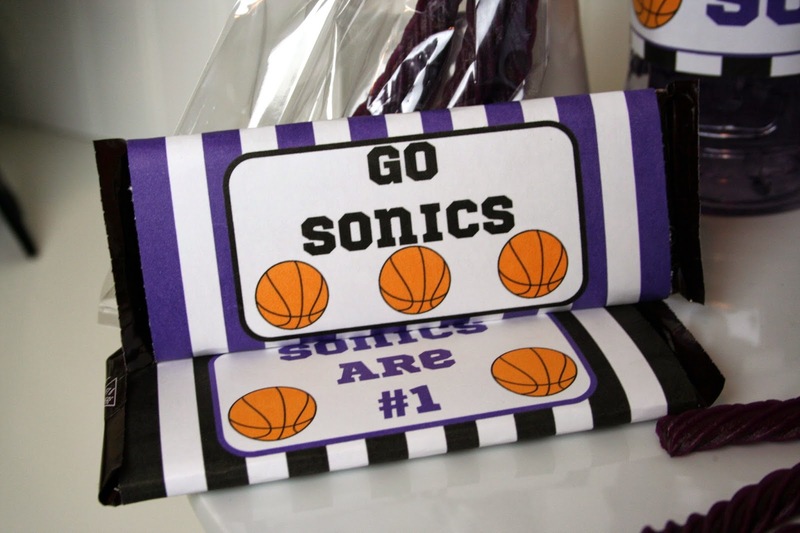 With just an hour to grocery shop and throw something together that would be "last game worthy", I was so grateful to Jennifer Kirlin of BellaGrey Designs for designing such fun last-minute printable sports bottle labels & candy bar wrappers to add some pizzazz to our treats! 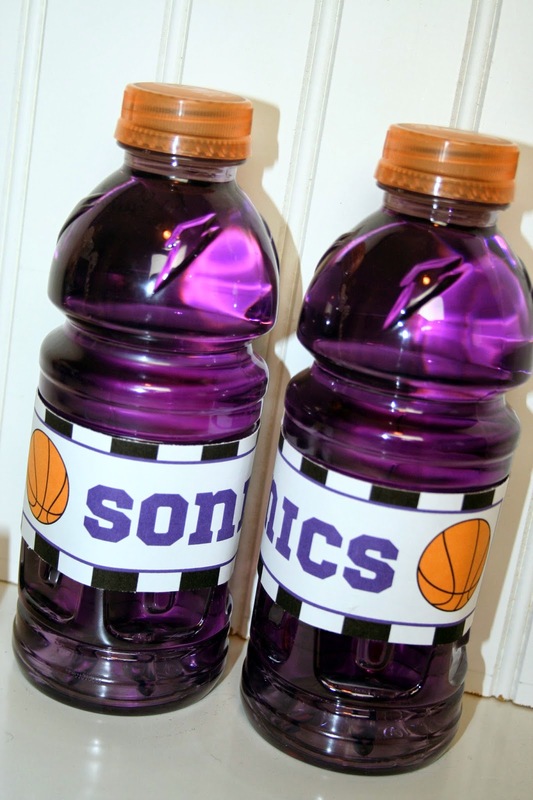 She adjusted the colors to the team colors and added their team name to make them personal. The kids loved them! They were definitely a slam dunk! Lauren McKinsey Cute Club Membership!